Longboat Key, a pristine barrier island that is divided in half between Manatee County in the north and Sarasota County in the south, touts lazy days at the beach and serene, tranquil nights. Keeping active is the name of the game on Longboat Key. Over 40 golf courses are positioned throughout the Sarasota Florida real estate landscape and with the Longboat Key Public Tennis Center, the famous St. Armands Circle, and an abundance of other amazing attractions, you will never an empty activity calendar. The tennis center is one of Sarasota’s leading municipal facilities, boasting 10 clay courts and St Armands features unlimited shopping at around 130 shops and international gourmet restaurants. Even though well known as a secluded island haven, Longboat Key is still just minutes from Sarasota and the cultural mixture the vibrant downtown area offers. Far from noise, traffic, and everyday hustle and bustle, owning real estate on Longboat Key offers a secluded, relaxed, and quiet atmosphere, but it’s still close to everything you would ever need. 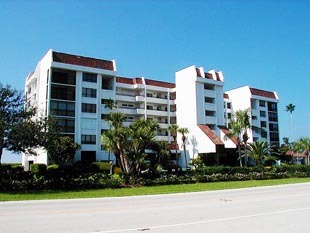 Recreation and fine dining is all minutes away as Longboat Key also has access, via 2 bridges, to the golf and shopping of Bradenton, and the nearby Sarasota/Bradenton International Airport. 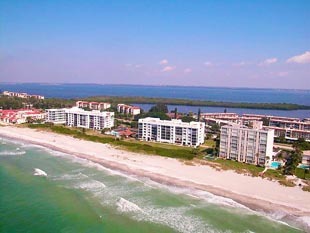 The fabulous Gulf of Mexico vistas set the condos for sale at Castillian apart from others. Erected in 1979, situated at 4545 Gulf of Mexico Dr. near the northern end of the island, and positioned directly on the beach, the development is comprised of 60 impressive residences. Some of the refined amenities at this Florida architectural style community include the tennis court, flawless resort style pool and spa area offering majestic views of the Gulf, BBQ and picnic area, underground parking, club house, elevators, and small pets are permitted. Ownership at Castillian brings with it options where you can select from 2 or 3 bedroom configurations with floor plans varying from 1,340 to 1,738 square feet. You are also allowed to rent out your residence 3 times per year with 1 month minimum tenancy. 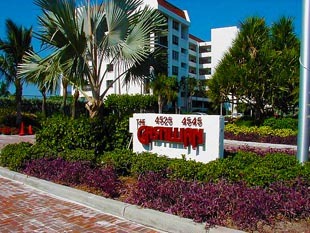 Pricing for Castillian condos for sale range will fluctuate from around $600,000 to the $1 million range. For true paradise found, walk the gorgeous pathways outside your front door leading to a relaxed stroll on the pure white sand beach. Far from traffic, noise, and everyday hustle and bustle, owning real estate on Longboat Key offers a calm, secluded, and quiet atmosphere, but still close to the recreation and entertainment attractions that brought you there. Water based activities vary from fishing adventures to diversions such as kayaking or swimming in the Gulf. Of course, for those requiring a bit more speed in their life, there are always powerboats. Below are all of the current real estate listings available for sale at Castillian.